In her third year as a Chatterbox staff member, Delaney Owens is the section editor of Style and Culture. This year, she hopes to report on topics that matter to students and gain new experiences and skills. Last year, Delaney was the editor of Arcade and contributed articles to Opinions, Peanuts and Fine Arts. She has loved getting to know the journalistic process from brainstorming to page designing. Her favorite Chatterbox memory so far is of meeting and interviewing author John Green. When she is not wearing her press badge, Delaney is also a member of the WHHS Bio-Eco club, a decent guitar player, and a novice but eager programmer. 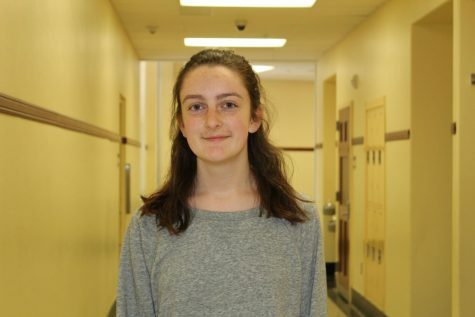 She can see herself studying a variety of things in college, but her current areas of interest include journalism, criminology, and environmental science. In her time outside of Chatterbox, Delaney loves nature, reading, listening to true crime podcasts, and talking about Chatterbox.